Imagine the feeling you get when you open your favorite bottle of champagne...pleasure, luxury, decadence... Liquor Light has created a way to continue that experience long after the last taste by lighting up a beautiful, handmade, scented candle made of recycled champagne and liquor bottles. These exclusive candles are a luxurious addition to your home or a beautiful gift for your beloved ones. 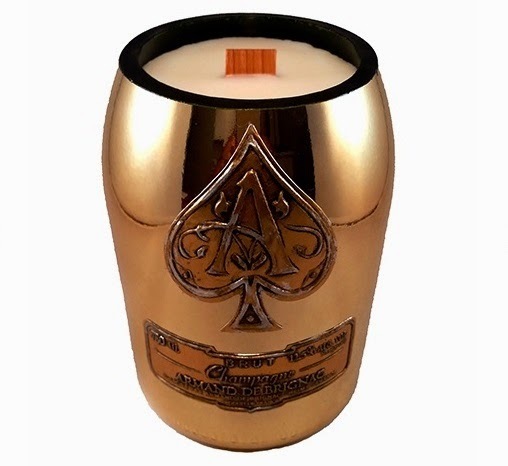 You can get the best selling ACE OF SPADES GOLD Champagne Candle now for $129 only! Free shipping in the U.S. Worldwide shipping available for a surcharge.